Attending a professional golf tournament is unlike any other sporting event. It’s not a case of simply turning up, wearing whatever you like and blending in to the crowd. There is much more to it than that. The same can be said for spectator behaviour. Yes, there is one tournament in particular where shouting and chanting appears to be welcome. However, as we will see, this is far from true at the majority of golf events. In terms of male attire, it is important to avoid wearing casual clothes. Examples of which are t-shirts, jeans, cut-off shorts and tank tops. A more appropriate outfit, would be a button down Oxford shirt and a pair of casual trousers. Golf polo shirts are also appreciated, along with a pair of good quality shorts. Solid colours are better than stripes or patterns. Shirts should be tucked in and trousers/shorts worn with a belt. Footwear can be a choice of loafers, tennis shoes or good quality sandals. If the sun is shining, a non-offensive or team related cap can be worn. Avoid slogans on any item of clothing and do not wear golf spikes. It can pay dividends to check the weather forecast in advance of leaving home for the tournament. If there is a chance it will be cold or wet, take an item of knitwear and an outdoor jacket. It’s also recommended to take an umbrella if it looks like rain. Different golf clubs will have varying rules regarding spectator attire and crowd behaviour. If you are unsure about anything, a phone call to the golf club is always worthwhile. However, as is the case with clothing, there are also general guidelines one can follow for behaviour. Always check the rules regarding photography. Some golf tournaments do not allow photos to be taken on mobile phones, even without a flash. Professional golfers have been know to react angrily when a spectator takes a photo at the wrong time. Always obey the stewards. They are there, not only to protect the players but also the spectators. Mobile phones should be switched off and there should be no noise when players are addressing the ball. At the majority of professional golf tournaments, there will be ropes around the course. These are there to guide spectators around, without disturbing the players. There may be crossing points on some fairways but only use them when a steward informs you it is safe to do so. Finally, don’t forget to have a good time. By using the tips above, you are sure to enjoy it. Photo credit; US Open 2015. 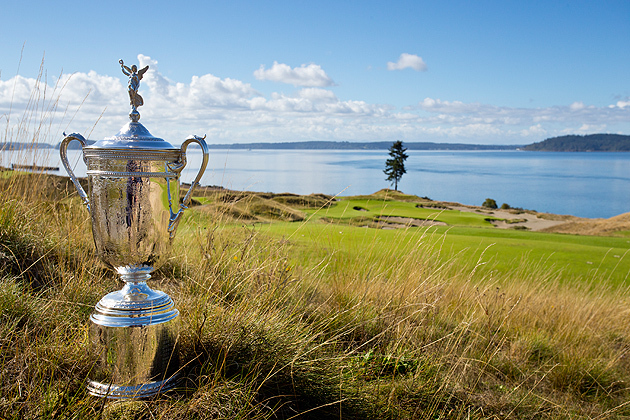 The U.S. Open comes to the Pacific Northwest for the first time in 2015 when Chambers Bay, the picturesque Robert Trent Jones Jr. layout in University Place, Wash., hosts the championship beginning June 18.